Which to Choose.. Pendant Motor vs Micromotor System? It's a very common question, the choices can be dumbfounding. A pendant motor has a flexible shaft while the Micromotor has a thin wire cable connecting the motor to the control box. The flexible shaft has to be hung to prevent damage, this is fine in a workshop but can be tricky in a home or learning setting. It can be cumbersome to move and whilst flexible there is some restriction to movement. The micromotor cable however is very light and very flexible. It allows for greater accuracy of movement. The first thing customers note when using a micromotor for the first time is the noise level, they are quiet! We have customers who have smart jewellery showrooms with studios at the rear, quiet micromotor systems are a must to keep the pleasant atmosphere in the shop. Equally in the home this can be a major plus. Torque is the amount of force put into rotation. Not all applications need the highest torque available. For Jewellers or Dental Technicians for example a Micromotor system will often have adequate torque. Wheels and burrs tend to be small and therefore need less torque. For engineers, fabricators, sculptors etc they may need a bit more grunt and higher torque to drive larger wheels and points. Pendant Motors tend to be limited to 25,000 rpm (some more, some less), Micromotors however typically offer closer to 35,000 rpm. Some carbide burrs and cutters like to be run at higher speeds, small diameter burrs work well with the lower torque and high speeds. This makes them a good option for delicate jobs like stone setting, precision engineering and dental technician work. Are Pendant Drills Heavier Duty? For fabrication, large sculpture, engine tuning, engineering etc the best choice is normally a pendant motor. They are really built for slightly rougher treatment. Certainly our LY128 system has proven over the years to be a sturdy workhorse with little going wrong with it. However in precision engineering environments our Eneska Micromotor system really holds it's own. They are very sturdy and can withstand long hours of use. For the user they are much more comfortable to use for prolonged periods. Micromotors have noticeably less vibration. In a lot of industries now there are health and safety regulations on vibration. Micromotors tend to be the choice where this is a requirement. They are much more comfortable for operators to use for long shifts. For all users this is a plus point, the difference is very obvious. 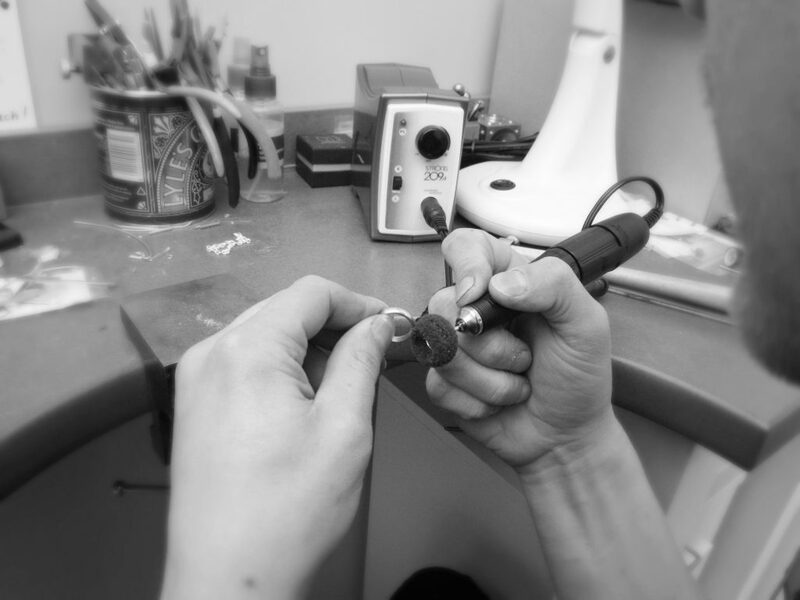 Handpieces can often be the deciding factor, they are very much down to personal preference and application. Generally speaking it simply depends on the brand and model of micromotor or pendant motor as to the extent of the handpieces available. Below you can see examples; in white pendant motor handpieces and blue micromotor handpieces. Our Foredom SR pendant motor comes with a choice of countless handpieces, the LY128 however is fixed and cannot be changed. 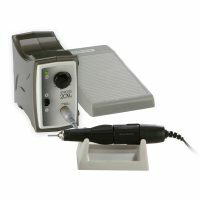 A fixed handpiece often makes the price much more attractive and is a very useable option for most people. 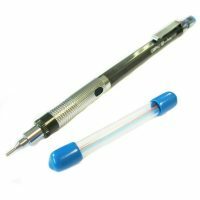 Similarly our very popular Strong 209 Micromotor comes with a fixed handpiece, it is larger overall but actually has a small end to it which is easier to hold and is pretty light with the cable. 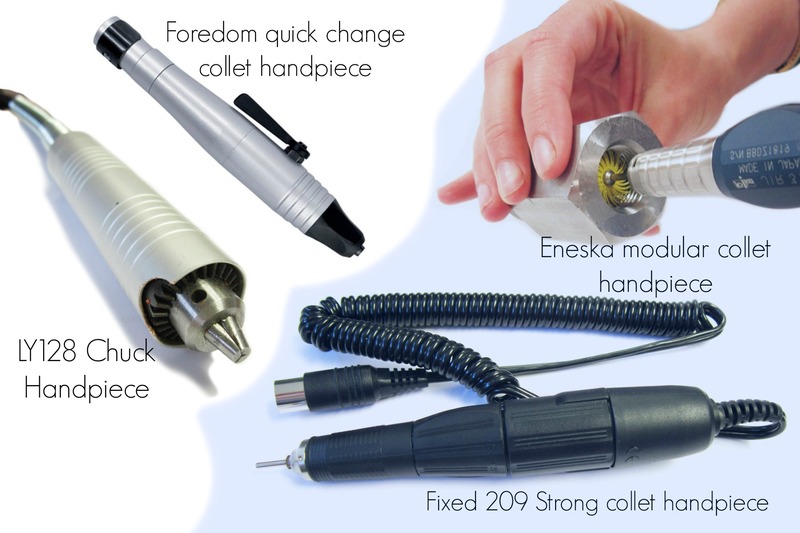 Our modular micromotor systems such as Eneska (NSK) and Urawa offer a very large range of handpieces that range in size and features. Hammer handpieces and angled handpieces are available. The beauty of micromotor handpieces is that they feature a quick release collet system in most cases making it quick to change between burrs. 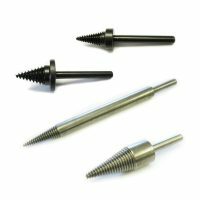 They normally have a collet system though which means drills and burrs need to be on a 2.35mm (or 1.6mm) minimum spindle where a chuck handpiece (such as on the LY128 pendant motor) can clasp very small drill bits and a range of spindle sizes. Micromotors are a revelation to a lot of people as the feel is something entirely different if you are used to a pendant motor (flex shaft). Operators report better feeling, without the drag of the flex shaft and the minimal vibration. You have more control. It is possible to maintain better control with the stop start controls on some systems (Eneska). Speed can be set on some models. The start is much more gradual and smooth. Flex shafts are frequently said to jump as they start, although not always a problem for high precision work it is less than ideal. Micromotors work well at low speeds and run smoother. Its a good question, you may have found several points particularly important to you. The good news is that each option has a range of price points from entry level to industrial standard. If you still have questions please get in touch! 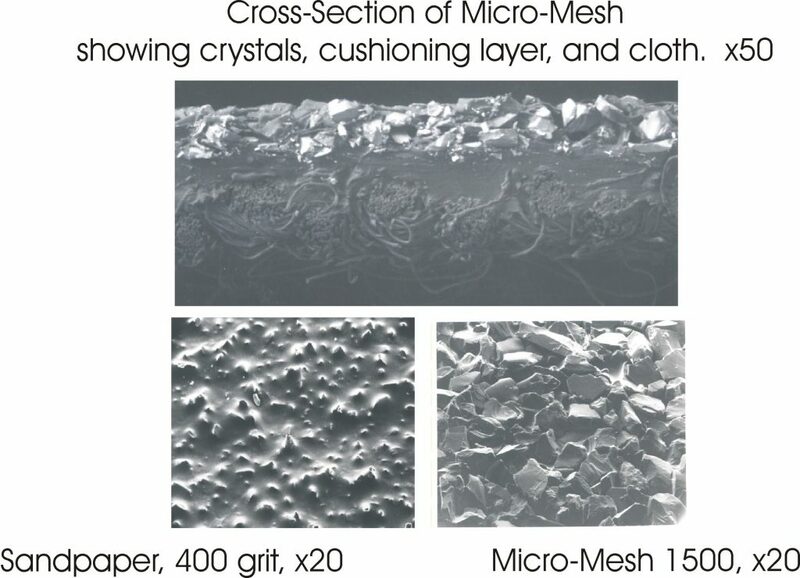 Have you heard of the Polishing Powers of Micromesh? Micromesh was originally designed for fine art restoration. It gently removed contamination and lacquers without damage to the piece beneath. Later in the 1970's the military employed it on their acrylic aircraft transparencies. It saved them millions as scratched and crazed aircraft windows could be restored rather than replaced. With that in mind, it is easy to see the potential of micro mesh in all kinds of applications from jewellery, to classic car restoration. You really have to see the material under magnification to appreciate the difference between Micromesh and standard abrasives. 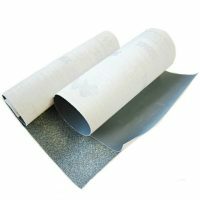 The most unique feature is that the abrasive crystals are held in a strong layer of glue which acts as a cushion on the long lasting fabric backing. Individual crystals can move up and down to form a common level. 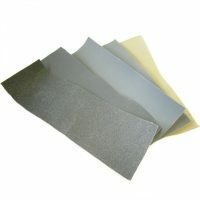 Unlike standard papers where grains are fixed in hard resin with a random scratch pattern. A smooth shaving action is achieved rather than a rough gouging of the surface. The material can be used wet or dry without loosing it's grit. The fabric backing is flexible, more so in Regular than MX but both much more so than abrasive paper. Reduced friction keeps the working temperature down, this in turn prevents the crystals fracturing. The result is an abrasive product that lasts up to 15x longer. A Micromesh Flexifile was used here to refinish a repaired ring. The high gloss finish was achieved solely with the 4-way file. A stupendously simple solution to quick finishing by hand. 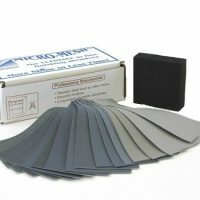 These files are a great way of sampling micromesh grits as is our Starter Kit with 5 strips of 100, 180, 320, 400 and 800. 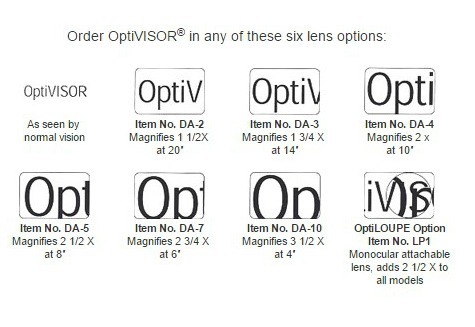 What type of Micromesh Should I Choose? Designed for plastics, acrylics, gelcoat, fibreglass, cast polymers, lacquers, composites etc. Regular is more flexible than MX, well suited to polishing. 1500 equivalent to 400g upwards. More suited to hardwoods and metals. The slightly less flexible backing gives a high gloss finish to metals. Starts at 60 equivalent to 240g right up to 3 micron. 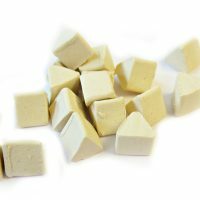 Jewellery making is not only a relaxing and enjoyable hobby, but can be a profitable business for those creating beautiful and professional looking trinkets. 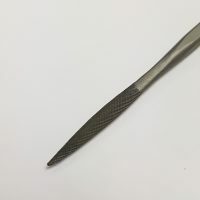 If you’ve been making your own jewellery as a beginner, you may be thinking about moving to the next level and gifting or even selling your pieces, but do you have the right jewellery making tools? Professional equipment can make the difference between items of jewellery that look amateurish or something you would happily buy in a high-street shop. 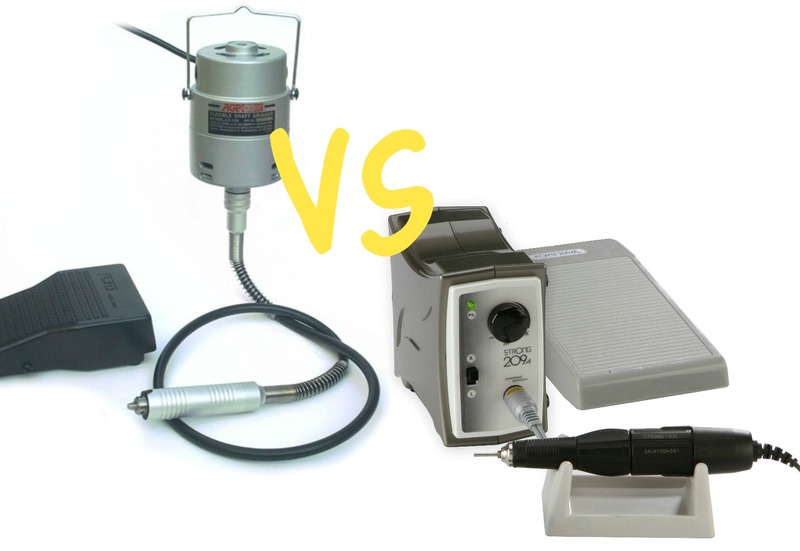 The problem that many hobbyists face is knowing which jewellery making equipment is worth the investment. Buying the wrong tools can not only cost you money, but can seriously waste your time. 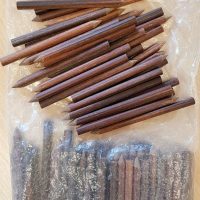 Having the correct jewellery making tools will separate your craft from the hobbyists and craft stalls and propel your products into items of desirability. 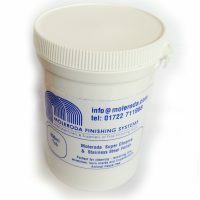 Moleroda has been manufacturing jewellery making tools and supplying the jewellery making trade for over 30 years. 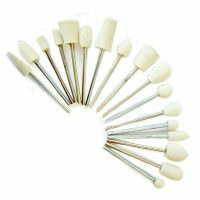 Here, we sharing with you the most popular jewellery making tools and equipment used by professional jewellery makers and artists. You'll eventually want/need them all, but decide what’s best for you and which equipment is appropriate for the type of jewellery you’re making. Thinking of upgrading your Dremel or changing your Pendant motor? 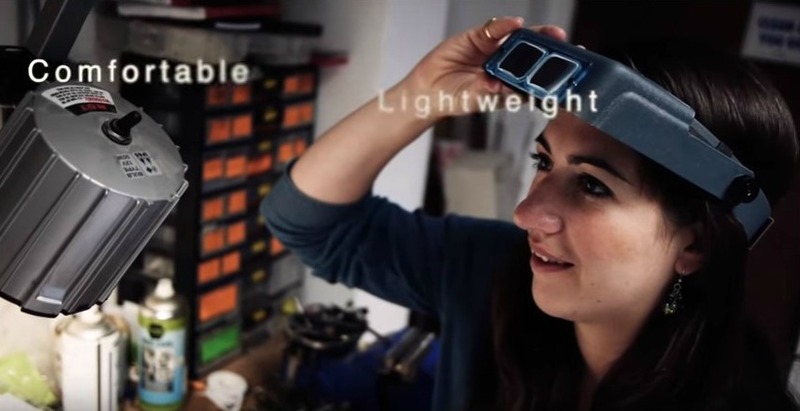 Think again Electric Micro Motors are the big new thing, this machine will change your life. This tool is a system for the most intricate finishing problems. For stoning, filing, polishing and high speed rotary work. If you can’t stretch to the tool above, you can use our mounted polishing tools with and conventional hand drill. Moleroda manufacture numerous polishing tools. You purchase the tools individually, or in packs. 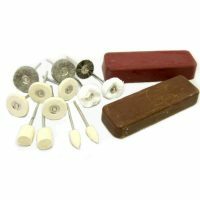 On our polishing tools page you’ll see there are packs for everything from pendent making to watch making, and even general packs for a bit of everything. 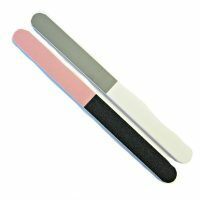 See our range of polishing kits. Yes, yes, we know it's boring, but if you are going to use polishing mops, you are going to need some compound. If you've got the tools, you might as well be using the best compound to get the desired shine. 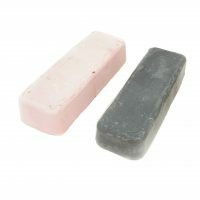 These small polishing and finishing compound bars are ideal for samples, hobbyists, students or small DIY jobs. 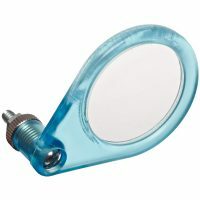 These can be used with a range of mops to create a mirror or reflective finish on hard materials. 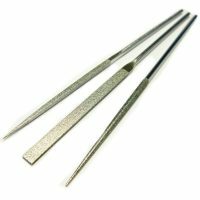 Diamond needle files file quickly, with accuracy and removes material on both the push and pull stroke unlike standard needle files. 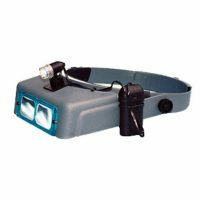 The Donegan Optivisor is the best headband style magnifier on the market for when close accurate work is required. 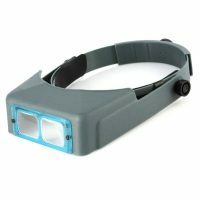 It leaves both hands free and allows three dimensional vision.